DataEntryOutsourced, a global outsourcing leader in data entry announcing its infrastructure and technology upgrade to offer larger volume of menu data entry services designed for restaurants, online food order businesses and agencies. DataEntryOutsourced (DEO) announced the immediate availability of newly upgraded infrastructure and technology to support larger volume of restaurant menu data entry for projects. These new updates are designed for online food order businesses, restaurants and agencies representing food service businesses throughout the world. In addition to expanding menu data entry services, DEO has hired a larger workforce and enhanced all service levels for specialized data entry operations. DataEntryOutsourced has emphasized the need for combining flexibility, technical expertise and high quality in their expanded menu data entry services. For example, DEO output files have clear classified columns such as working hours and item prices that can be directly exported to client databases or provided in CSV, MS Word or MS Excel formats. Menu input files can be in the form of either PDF files after scanning or documents that are faxed directly to DEO. As noted by a DEO senior operations manager, "At DataEntryOutsourced, we firmly believe that you should never be asked to sacrifice quality when it comes to data management of any kind. With our menu data entry services that include investments in new infrastructure and an expanded data entry team, we can offer better quality and a faster turnaround while helping you to save money at the same time. To make this happen, we use trained professionals and employ a skilled data entry team to assist with the entire menu data entry process — and of course, your satisfaction is always guaranteed! A comprehensive and rigorous approach to data management is our secret to success with menu data entry services and other specialized data entry services. Without hiring any new employees, you can get your most complicated and time-consuming data entry projects completed more quickly and cost-effectively." 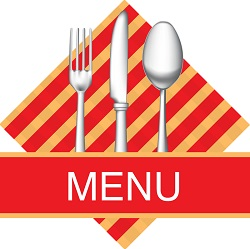 DataEntryOutsourced can also provide restaurant-related services such as menu conversion, menu formatting and menu design. Additionally, DEO can offer web data mining capabilities if clients want to use secondary sources to extract menus and related data. For clients interested in simplifying back-end food services such as order processing, DataEntryOutsourced can provide expert streamlining help that will allow senior management and employees to focus on high-priority business development functions. For more than a decade, DataEntryOutsourced teams have provided world-class data management services to clients around the world. DEO is a world-renowned data management outsourcing workforce — the client database for DataEntryOutsourced ranges from startup entrepreneurs to Fortune 500 companies.